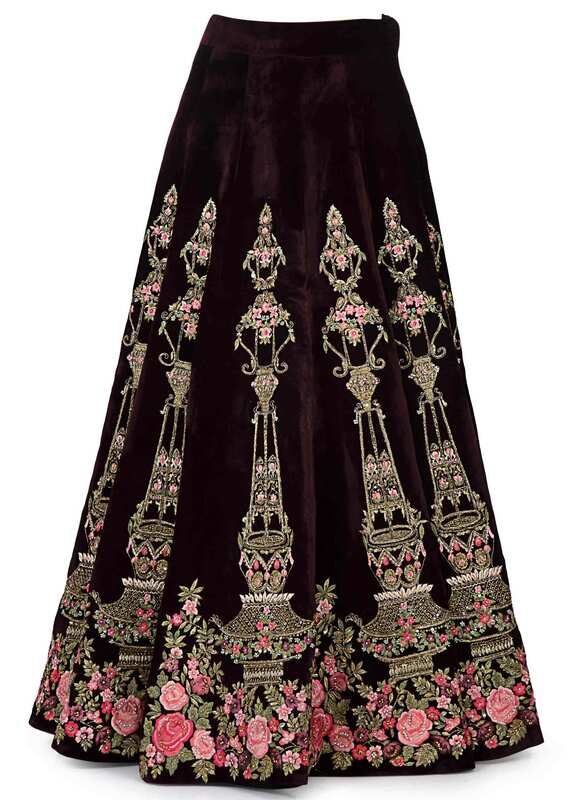 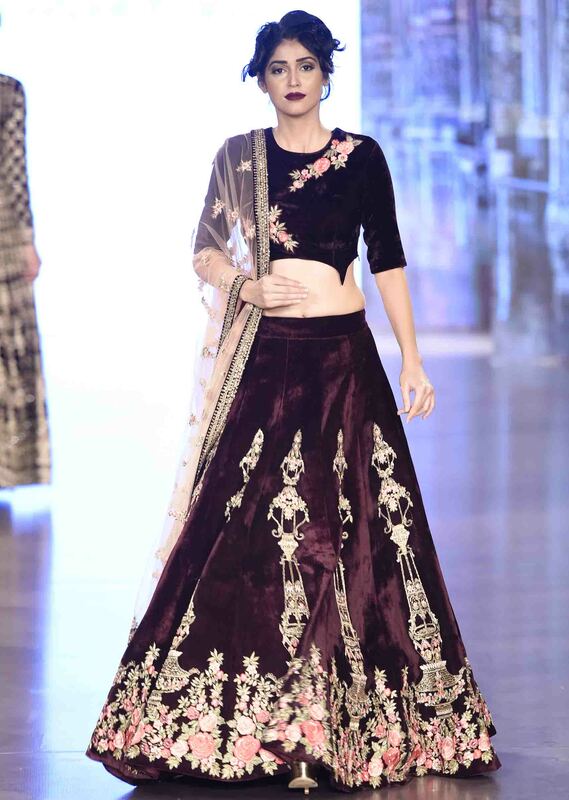 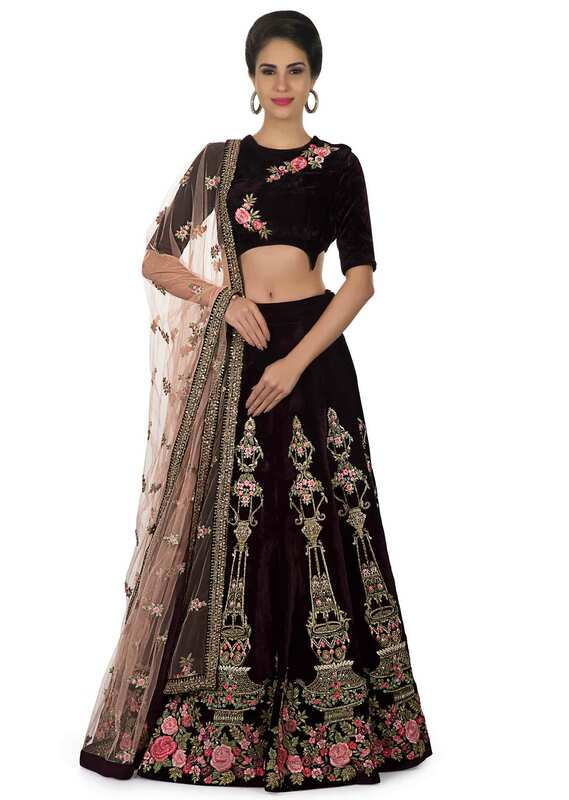 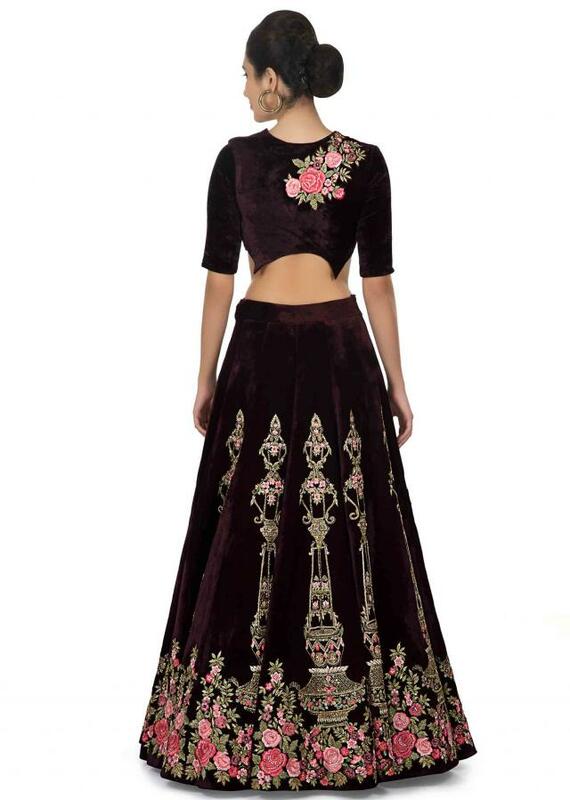 A velvet lehenga in burgundy with a brown tint brings out a royal touch to one's personality. Derived from the gorgeous palace gardens of Mirabell, the motifs and embroidery give a tribute to the Mirabell architecture that is magnificent. 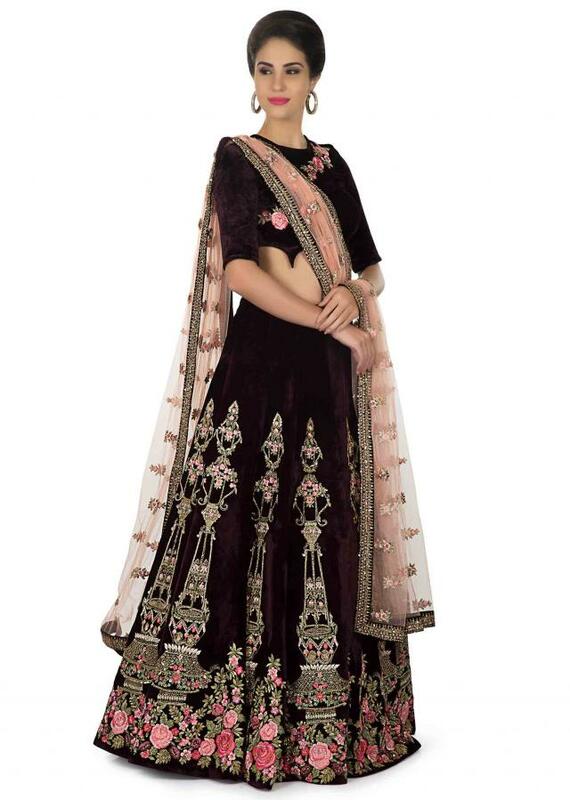 The resham embroidery in pastel pink and green create a striking contrast that adds more beauty to the overall ensemble.